We get it, social practitioners are social people. They like to meet, chat and connect with others in similar roles around the world. Whether virtual or physical, we are always looking for opportunities to bring together the community to share insights and ideas with each other about what it takes to be Social@Scale™. Traditional Strategy, who played a significant and meaningful role in how organizations operated to win in the industrial era, perished on Tuesday, in Boston. He was forty-three. The cause of his demise was the numerous complications arising from a collision with the Social Era, the context for business in the twenty-first century. In this provocative webinar, Nilofer will share the New Rules of the Social Era and how doing right by people while delivering results are complementary, not conflicting goals. You will walk away with a new perspective and a renewed sense in the possibilities of being Social@Scale. 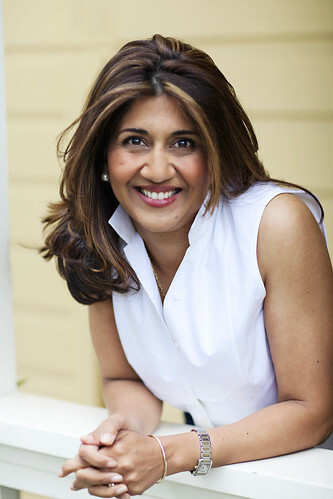 Nilofer Merchant inspires fearless cultures. When fear rules, ideas are stifled, innovation stagnates. Remove that fear and you’ll see people thrive. And companies will have more great ideas realized. And our economy will have that propellant that enables greatness. Fearlessness brings results. Nilofer’s career began at Apple and she has since been a CEO, run Fortune 500 companies, led successful start-ups, and launched over 100 products that account for $18B in revenues. She’s written O’Reilly’s most successful business book to date “The New How.” Top marketing blogger Seth Godin described her book as both “provocative and practical.” In her work, she helps organizations close the Air Sandwich, the proverbial gap between strategy and execution. Using her trademarked methodology, MurderBoarding™, organizations can make the tough choices necessary to pick and align on the best strategy. © 2012 Sprinklr. All Rights Reserved. Enter your email for Sprinklr news.